Nature is full of wonder and mystery – and, fortunately for us, bizarre facts! This is our first bizarre facts list of 2009 and will definitely not be the last of one of our most popular topics! I hope you enjoy the facts, and if you have any more of your own to add, please feel free to do so in the comments! During the summer months, mice will generally live outside and remain contended there. 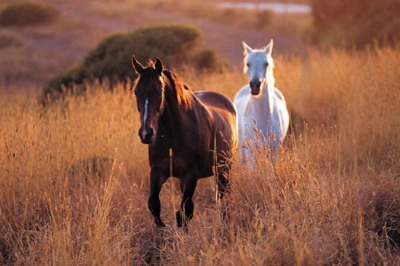 But as soon as the weather begins to cool, they seek the warmth of our homes. Because of their soft skulls and gnawing ability, a hole the size of a ballpoint pen (6mm – 1/4 inch) is large enough for them to enter en masse. Once inside, they will constantly gnaw at virtually anything – including concrete, lead, and plastic. This is to keep their ever-growing teeth at a convenient length. Contrary to popular belief, mice don’t generally like cheese – but will eat it on occasion. 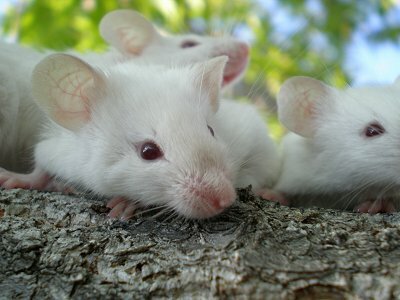 Mice can jump up to 46cm (18 inches), swim, and travel vertically or upside-down. To mouse proof your house, check all small openings with a ballpoint pen – if it fits the hole, it will let mice in. 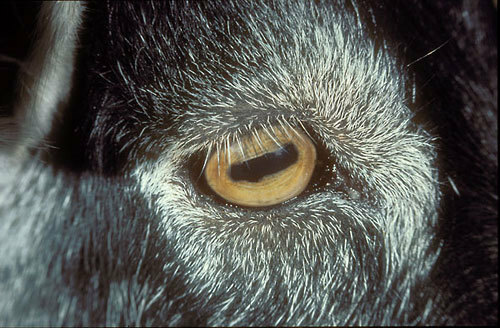 We all imagine pupils to be round – as they are the type we see most often (on humans) – but goats (and most other animals with hooves) have horizontal slits which are nearly rectangular when dilated. This gives goats vision covering 320 – 340 degrees; this means they can see virtually all around them without having to move (humans have vision covering 160 – 210 degrees). Consequently, animals with rectangular eyes can see better at night due to having larger pupils that can be closed more tightly during the day to restrict light. Interestingly, octopuses also have rectangular pupils. 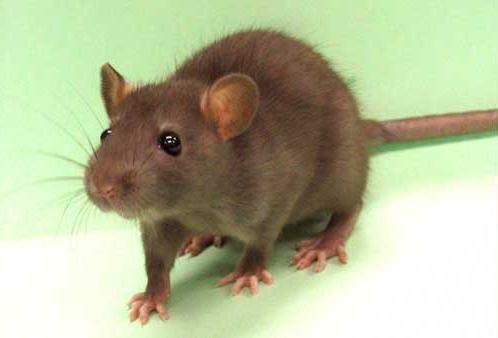 Rats can’t vomit or burp because of a limiting wall between their two stomachs and their inability to control the diaphragm muscles needed for the action. Neither rabbits nor guinea pigs can vomit either. This makes rats particularly susceptible to poisoning (hence its popularity in controlling rat infestations). Because of this inability, rats will nibble at food to see if it makes them feel sick (they can’t vomit, but they can feel like they sure as hell want to!) If they don’t feel nausea they will scoff the lot. First off, let us just be clear: this is the scientific name for a particular type of Gorilla – the Western Lowland Gorilla (this is the type you are most likely to see in a zoo – and the most common). 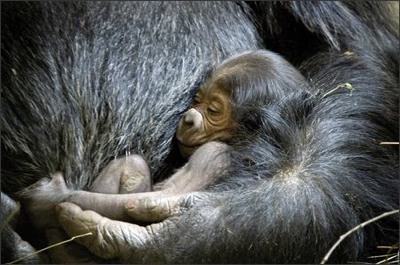 For some reason the poor gorillas got stuck with the weird names – if you aren’t a Gorilla gorilla gorilla, you are a Gorilla gorilla diehli, Gorilla beringei beringei, Gorilla beringei graueri. The Bwindi Gorilla (a type of Gorilla beringei) has not yet been given a trinomen – for the sake of fun and to be a little different, I propose it be named Gorilla beringei ChuckNorris. If you didn’t understand this item, don’t worry – I didn’t either! Next time you are feeding the beautiful swans and want to give one a nice pat on the back – don’t do it! 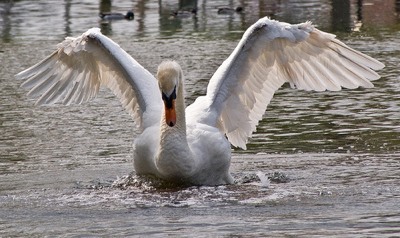 Swans are very protective of their young and will use their incredibly powerful wings to fend off dogs (and sometimes humans). They have a wing span of around 2.75 meters (9 feet). In 2001, a young man in Ireland had his leg broken by a swan when he was trying to provoke it. The following year another person had their arm broken. First of all, unless you are allergic to tarantula venom, they are harmless to humans (though they pack a painful bite). Some tarantulas can also shoot the “hairs” off their legs which can pierce human skin and cause great discomfort. Now – back to the weird fact. 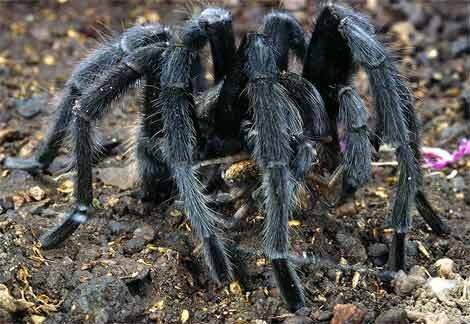 Tarantulas have an exoskeleton (that means its skeleton is on the outside) like crayfish and crabs. They shed their exoskeleton regularly – normally by lying on their back. (When they are shedding their skeleton, it is a good idea to keep right away from them as they will attack due to their vulnerable state.) Because the exoskeleton is very fragile, if a tarantula is dropped from a low height, it will shatter and die. 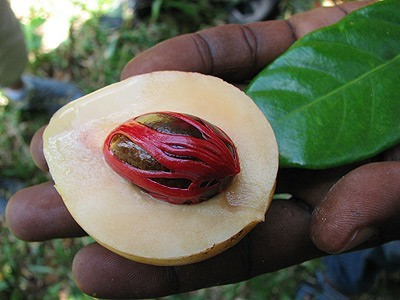 Nutmeg is a hallucinigenic drug which is regularly used to flavor such lovely things as custard tarts and fruit cakes. It is also a poison which will kill you while you suffer a variety of extremely revolting (and one or two not-so-revolting) side-effects on the way. Ingesting 2 grams of nutmeg will give you similar feelings to having taken amphetamines (the not-so-revolting side-effect) but will also cause nausea, fever, and headaches. Ingesting 7.5 grams will cause convulsions, and eating 10 grams will cause hallucinations. Eating a whole nutmeg can lead to “nutmeg psychosis” which includes feelings of impending doom, confusion, and agitation. There have been two recorded cases of death by nutmeg (one in 1908 and one in 2001). The Telegraph plant is a tropical plant usually found in Asia – but also in the South Pacific. The plant has the amazing ability to shake its leaves (which rotate on their axis and jerk up and down). There are a few other plants with rapid movement abilities (such as the venus fly trap) but this is the most bizarre and least known. It should be noted that when we refer to “rapid” in relation to plants – it is not super fast – but it is definitely visible with the naked eye. I have linked to a real-time clip of the plant in action above (apologies for the music – this is not my own clip or it would be far more awesome). The incredibly complex bombardier beetle has an amazing and unique ability: when threatened it shoots boiling hot chemicals from its abdomen up to 70 times rapidly. The liquid is a combination of hydrogen peroxide and hydroquinones which join together inside the beetle causing a chemical reaction. The liquid is fatal to small insects and creatures and can be very painful to humans. You can watch the incredible reaction in the clip above.